“In Verse” is a multimedia reporting project combining poetry, photography and sound. This installment features poet Susan B.A. Somers-Willett, photographer Brenda Ann Kenneally and producer Lu Olkowski as they document the lives of working mothers in Troy, New York. Join Susan B.A. Somers-Willett, Brenda Kenneally and Lu Olkowski in an online discussion at Transom.org beginning November 6. Troy was once one of the richest cities in America (thanks to its role in the industrial revolution). Now, roughly one-fifth of the population lives under the US poverty line. There are three audio pieces in this installment: “In the Office of Temporary Assistance,” “Just a Girl” and “The Cutting Place.” “In Verse” and our broadcast partner, Studio 360 with Kurt Andersen, are happy to offer hosted versions of the pieces to carrying and non-carrying stations. Unhosted versions are also available. You can see Brenda Ann Kenneally’s photos in an audio slideshow of the title poem, “Women of Troy". “In Verse” also appears in the fall issue of Virginia Quarterly Review available online and on newsstands October 2009. An “In Verse” iPhone app is available in the App Store. Future installments of “In Verse” feature Pulitzer Prize winning poet Natasha Trethewey and photographer Joshua Cogan as they cover the ongoing recovery on the Mississippi Gulf Coast after Katrina. 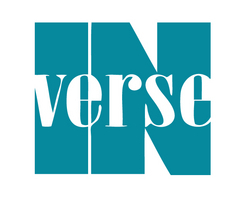 “In Verse” is produced through the generous funding of Public Radio Maker’s Quest 2.0, an initiative of AIR, the Association of Independents in Radio. This project is made possible with funding from the Corporation for Public Broadcasting. “In Verse” was created in partnership with Virginia Quarterly Review and originally aired on Studio 360 with Kurt Andersen. A documentary poem about DJ Guerin, who’s 32, with 7 kids.